Posted on August 29, 2016 by Ellie B.
Tammy Caputi’s business, Yale Electric West, buys and distributes lighting and electrical supplies for large commercial construction projects. It’s also a metaphor for what she says she intends to do as a public servant. “For the last 15 years, I’ve provided light fixtures that light up our valley, and now I want to help light up our state House,’’ she said to us in a July 31 email. 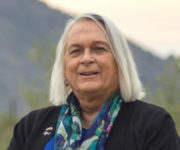 The New England transplant, married for 12 years, lives in Scottsdale, where she’s active in the Jewish community, her Democratic legislative district, and physical fitness activities. Below are her answers to Planned Parenthood Advocates of Arizona’s questions.